School of yellow fin tuna, hunted and hunter along the Gulf Stream. 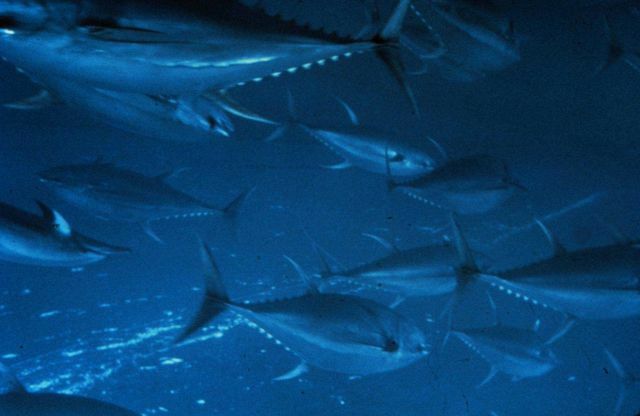 Thunnus albacares. Photo Location: Atlantic Ocean, Gulf Stream.